When it comes to finding a company for stump grinding Fort Collins does have an option available to you. With this kind of service, there’s no doubt that you need a company that has the professionalism and expertise that you are seeking, and by contacting us you have indeed found that company. It’s always important that this particular service is done in the correct manner. Not only do you require the knowledge but also the correct machinery that makes it possible. Once again, that is where we excel, and that is something that will become apparent from the moment that we arrive on your property. Our team is not only experienced, but we are also fully insured and highly qualified for what we do. Our level of customer service from beginning to end is what marks us out as the best stump grinding company Fort Collins can offer. In short, you will be glad that you called us. With us, there’s no need to worry about any aspect. We make it clear from the outset how much our service will cost, and there are no hidden extras for you to worry about. We know how annoying and upsetting that kind of thing can be, so you will only ever get complete honesty and an open approach to what we do, so you can rest assured that you are always in safe hands when you contact us. But then, why bother with grinding a stump rather than simply removing it? In most cases, the easiest option is to grind the stump as it causes less upheaval to the rest of your yard when compared to removing the stump. That in itself can lead to all kinds of issues with the ground being compromised, and with us being able to grind to below the ground surface, it won’t be long until that stump is no longer visible. You also have to admit that it can be quite ugly seeing that stump just sitting there. Throw in the fact that the hole that’s left after a removal is hardly pleasant on the eye either, and what you have are more prime reasons as to why grinding is the perfect solution. When you call us for this service, what you then get is a company that meets all of the relevant industry rules and regulations especially surrounding safety concerns. For us, making sure that safety is not compromised lies at the heart of every service that we offer, and this is no different. 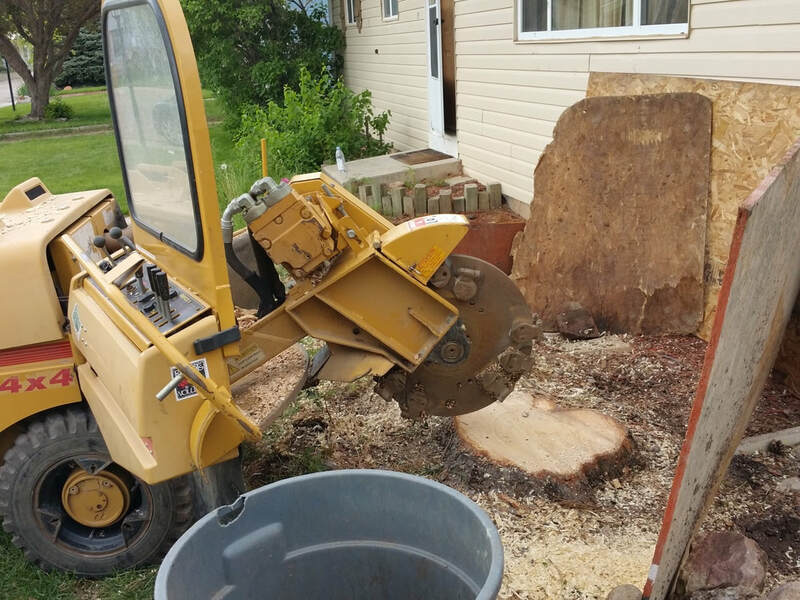 So, if you have had a tree cut down and want that stump dealt with then stop looking at any other stump grinder Fort Collins companies and give us a call. Alternatively, you can contact us via our website and someone will then be in touch to arrange a time for us to come with our equipment and deal with the problem in an instant.